BDT Housing Services, with the support of Aho Architects and Technical Assistance and Training Provider, Tom Andrews with Tierra del Sol, has received funding from the USDA’s Rural Development program to build 20 new homes for farm laborers in the Mississippi delta. The homes in this new affordable housing community, called Latham-Trice Farm Estate, will achieve Silver Certification under the US Green Building Council’s LEED for Homes program. The green building strategies implemented will ensure that the homes are safe and comfortable, and, at the same time, will keep utility bills low. We were one of only 11 groups from across the nation to receive this funding for FY 2014 through a competitive process, and our application received one of the highest scores. This continues our successful track record obtaining funding for these critical housing developments. Though a small, rural town, Rosedale, Mississippi is well-known for its delicious hot-tamales and earned it’s spot on the Mississippi Blues Trail after being immortalized in bluesman Robert Johnson’s 1937 recording “Traveling Riverside Blues” (and later by Led Zeppelin). 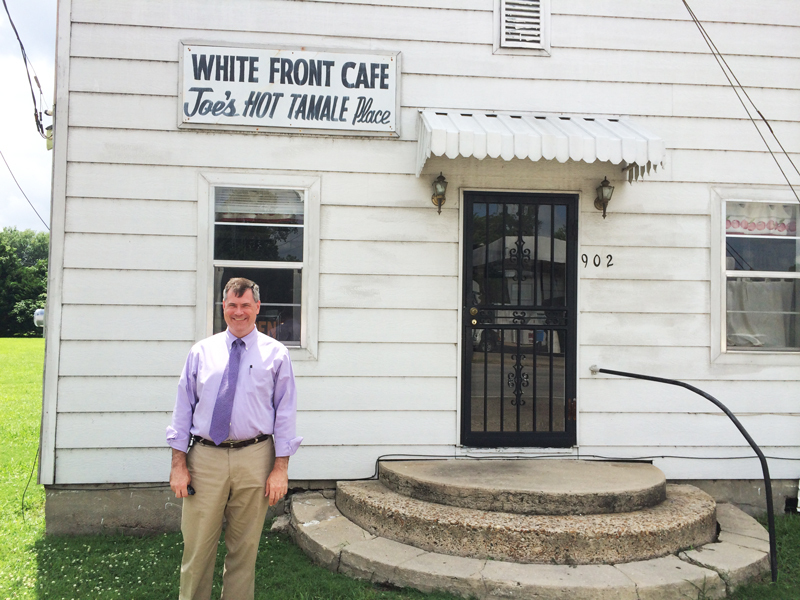 We’ve already sampled the hot tamales from the famous White Front Café, and we’ll be sure to make that a regular stop during our visits to Rosedale.